Keywords: Osteoclast, tocotrienols, bone loss, anti oxidants, osteoblasts, osteoclast. Keywords:Osteoclast, tocotrienols, bone loss, anti oxidants, osteoblasts, osteoclast. Abstract:Background: There are accumulating studies reporting that vitamin E in general exhibits bone protective effects. 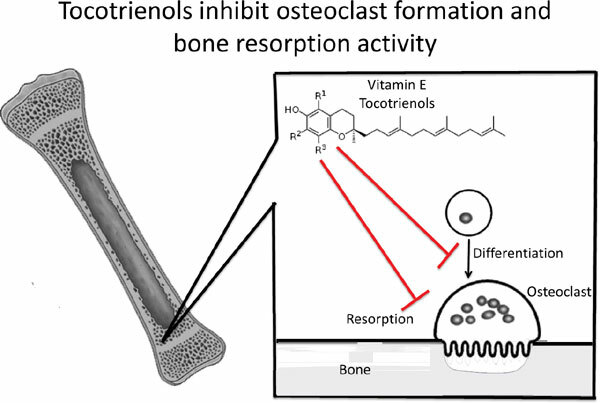 This systematic review, however discusses the effects of a group of vitamin E isomers, tocotrienols in preventing bone loss through osteoclast differentiation and activity suppression.